Like a private residents the hotel’s lobby bar is ready to offer its hospitality, decorated with works of artists, fine furnishings and comfortable sofas that will make up feel homely in a truly beautiful and qualitative environment. 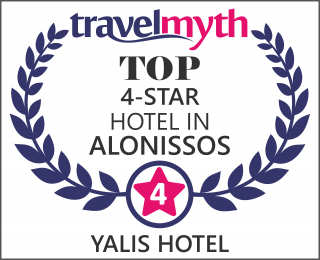 In our lounge area, there is a computer you can also enjoy screenings of the beautiful island of Alonnisos. Drink your aperitif, cocktail or wine in a high luxury area. Plan your excursions on the island with the help of our friendly and cooperative staff or relax with a drink before retiring to your suite.